Celebrating the Reason For the Season! 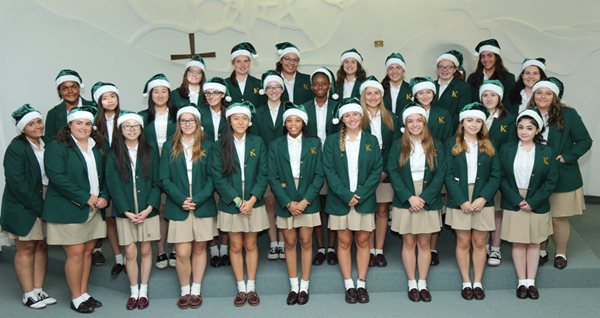 Above, Bishop Kearney H.S., Bensonhurst, wishes everyone a Merry Christmas in its 2017 Christmas photo. 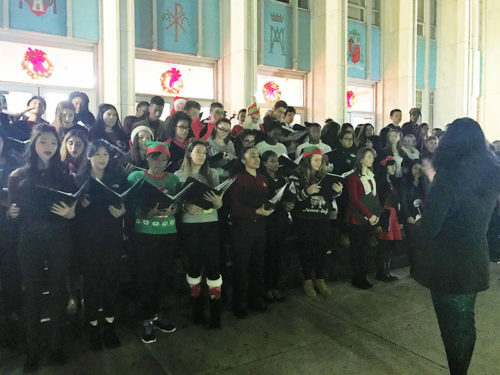 Christ the King H.S., Middle Village, below, kicked off the 2017 Christmas season with its annual tree lighting ceremony. More than 300 people within the community joined the festivities. Santa was on hand for pictures and families enjoyed an indoor Winter Wonderland filled with bouncy castles, warm cookies and hot chocolate. The school’s musical theatre group sang Christmas carols.